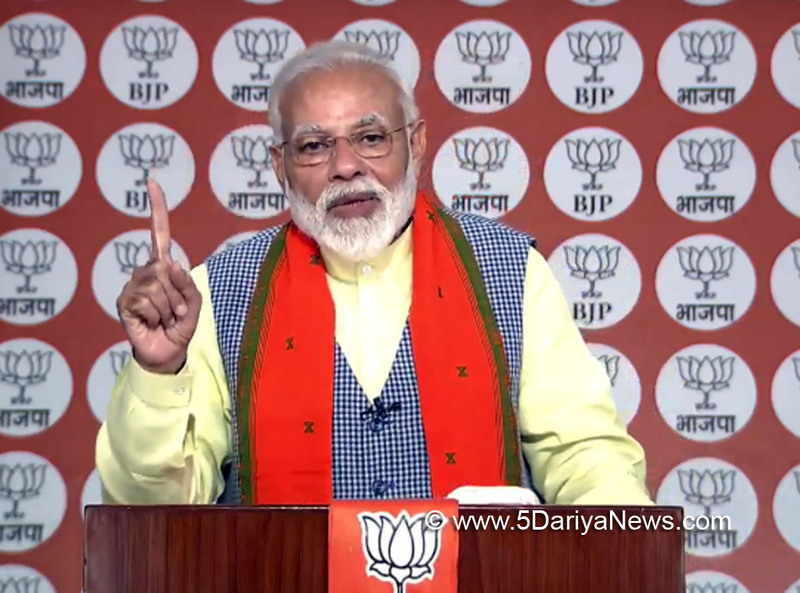 In a veiled attack on Pakistan, Prime Minister Narendra Modi on Thursday said India needed to stand united against the "evil designs" of its "enemy" which was hatching a conspiracy to destabilize the country and stop its progress with terror attacks.Interacting with Bharatiya Janata Party (BJP) workers through video conference, he also urged people not to do anything which may hurt the morale of the security forces. "When the enemy hatches a conspiracy to destabilize the country and conducts terror attacks, its target is to stop our progress... We all need to stand united against its design. We have to show them this country is not going to stop its progress," Modi said. "The enemy tries to destabilize us, carries out terror attacks, they want to stop our growth. All countrymen are standing like a rock to counter their evil designs. "Modi said Indian soldiers were showing their courage and valour and the country was united behind its forces as "the world is witnessing our collective will". "Our soldiers are at borders for the country's safety and security... It is because they are there, the nation can reach new levels of development. We are citizens of a valiant country. We all need to work hard for the country's prosperity and pride. "I am confident that nothing will happen that will impact the morale of our forces."